I get a little testy in this podcast. It’s a great example of how the Democrats and the Republicans work together — for their bribing special interests — against you and me and the rest of the American public. Here’s the NYTimes piece I mention. Here’s the NYTimes piece on Romney wanting to roll back environmental regulations. Here’s my previous podcast on Obama’s run to the right based on theories from the book The Righteous Mind. If you want to read rather than listen, here is the script below. TODAY IS SUNDAY OCTOBER 7, 2012. COMING TO YOU FROM RICHLAND, WASHINGTON – IN THE TRI CITIES AREA. WE’RE GOING TO TALK ABOUT THE HORRIBLE DEATHS AND ILLNESSES FROM THE MENINGITIS OUTBREAK – DUE TO BAD DRUGS – AND WHAT IT SAYS ABOUT THE PRESIDENTIAL CAMPAIGN – WHAT IT IS NOT SAYING ABOUT THE CAMPAIGN – AND SOME BLATANT MEDIA BIAS. ONE REASON PRESIDENT OBAMA IS STILL NECK AND NECK WITH MITT ROMNEY IS OBAMA’S RUN TO THE RIGHT ON CERTAIN ISSUES. WE’VE DISCUSSED — HERE — HIS STRENGTH ON NATIONAL SECURITY AND FOREIGN AFFAIRS OVER MITT ROMNEY – WHICH IS FAR GREATER THAN ANY OTHER DEMOCRATIC PRESIDENT SINCE J-F-K OR TRUMAN. 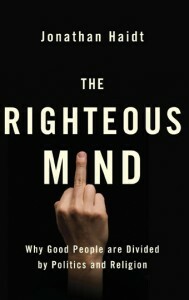 IN A PODCAST – I DID — ABOUT THE BOOK THE RIGHTEOUS MIND, WE DISCUSSED HOW OBAMA IS TOUCHING ON ALL THE SO-CALLED TASTE RECEPTORS THAT REPUBLICANS USUALLY ENJOY. I WILL POST THAT LINK ON THE SITE TOO. 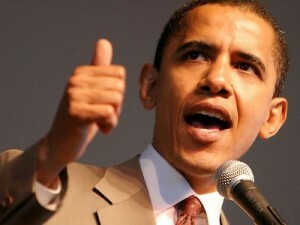 BUT OBAMA HAS SECRETLY BEEN HOLDING BACK ON A NUMBER OF FEDERAL REGULATIONS – TO SAVE COSTS FOR THE EVERYDAY PERSON. AND THAT MAY HAVE LED TO THE DEATHS IN THE MENINGITIS DEBACLE. WHY ARE THESE PEOPLE DEAD? IT APPEARS TO BE LOOSE REGULATIONS NOT ON DRUG MANUFACTURERS – BUT ON PHARMACUETICAL COMPOUNDING OUTFITS. A COMPANY CALLED NEW ENGLAND COMPOUNDING – THAT HAS A TROUBLED HISTORY, ACCORDING TO THE NEW YORK TIMES – APPARENTLY PRODUCED THE STEROIDS – FOR PAIN INJECTIONS – WITH LOOSE REGULATIONS. 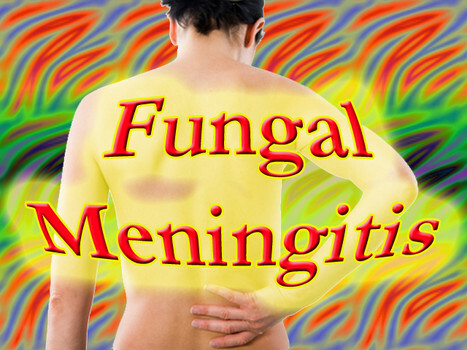 THOSE STEROIDS HAD A FUNGUS – THAT IS NOW CAUSING ALL THE PROBLEMS. ONE PERSON IN THE TIMES ARTICLE IS QUOTED AS SAYING THE GOVERNMENT HAS MORE REGULATION ON A PLANT IN CHINA THAN A COMPOUNDING COMPANY HERE IN THE U-S. SOME DOCTORS AND CLINICS HAVE TURNED AWAY FROM MAJOR DRUG MANUFACTURERS AND HAVE TAKEN THEIR BUSINESS TO SO-CALLED COMPOUNDING PHARMACIES – TO MIX UP BATCHES OF DRUGS ON THEIR OWN — OFTEN FOR MUCH LOWER PRICES THAN MAJOR MANUFACTURERS CHARGE — AND WITH LITTLE OF THE FEDERAL OVERSIGHT OF DRUG SAFETY AND QUALITY THAT IS ROUTINE FOR THE BIG COMPANIES. FIRST, THAT ITEM IS BURIED IN THE ARTICLE. MY GUESS: IF THIS HAPPENED DURING A G-O-P ADMINISTRATION THAT WOULD HAVE BEEN IN THE LEAD PARAGRAPH. YES, THE MEDIA IS BIASED. THIS IS NEWS. A DEMOCRATIC ADMINISTRATION MOVING TOWARD A REPUBLICAN PLATFORM PLANK – AND IT HAS HAD DIRE CONSEQUENCES. BUT APPARENTLY THAT CANNOT BE WRITTEN DURING THE FINAL WEEKS OF THE CAMPAIGN. DID THE TIMES IGNORE THE STORY? NO, THEY HAVE TOLD THE STORY AND ITS CONSEQUENCES. BUT THEY BURIED THE CONTEXT OF THE STORY AND WHY IT IS HAPPENING. SECOND, WHY AREN’T THE REPUBLICANS SCREAMING ABOUT THIS AS A CAMPAIGN ISSUE? THEY CAN’T. ROMNEY WOULD HAVE DONE THE SAME THING OBAMA DID – AND MORE. FOLKS, THAT STUFF HAPPENS IN THIRD WORLD COUNTRIES – NOT THE U-S. THIS CALL FOR LESS GOVERNMENT IS SILLY. THE CALL SHOULD BE FOR BETTER AND MORE EFFICIENT GOVERNMENT. 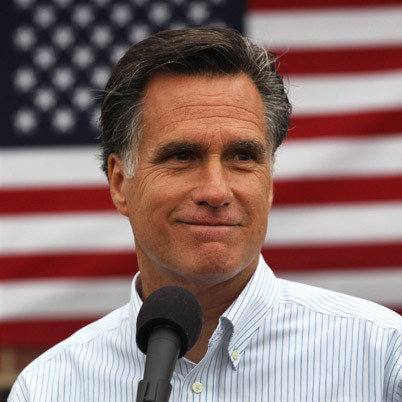 ROMNEY WANTS TO ROLL BACK ALL OF THE CLEAN AIR ACT – EVEN THOUGH STUDIES HAVE PROVEN THAT THE REDUCTION OF CARBON DIOXIDE IS NOT ENDANGERING HUMAN HEALTH. SOME STUDIES SAY THE REDUCTION OF LEAD IN OUR GASOLINE IN THE 1970S COULD HAVE BEEN THE REASON FOR THE MASSIVE DROP IN CRIME IN THE 1990S BECAUSE CHILDREN DID NOT HAVE BRAINS CLOGGED WITH LEAD – THAT STOPPED MUCH ANTI-SOCIAL BEHAVIOR. I AM ALL FOR THE G-O-P STANCE OF NOT BANKRUPTING OUR KIDS FUTURES. YOU HEAR ME SCREAM ABOUT ENACTING BOWLES-SIMPSON. BUT IT’S SELF-SERVING TO THE CORPORATE INTERESTS THAT BRIBE THE G-O-P – WHEN THEY FAIL TO LOOK AT THE FUTURE HEALTH OF OUR CHILDREN AS WELL. IF MITT ROMNEY GETS HIS WAY, WE’LL HAVE MORE PROFITS AND MORE SICK AND DEAD PEOPLE. UNFORTUNATELY, THE PRESIDENT SEEMS TO LEANING MITT’S WAY TO GET RE-ELECTED – AND IT SHOULD COST HIM TOO.